The board of the Rehab Group will met today to discuss whether or not to publicly say how much their CEO is paid. What do you think? THE BOARD AT the Rehab Group will meet today to discuss whether or not to publicly say how much CEO Angela Kerins is paid. There has been pressure on the not-for-profit disability organisation to reveal Kerins’s salary in the wake of the top-ups controversy at some publicly-funded health agencies. Chairman Brian Kerr has defended the decision not to disclose her salary so far, saying there has been “no formal request” to release details and said that Kerins has been placed under a lot of pressure by the media attention. So what do you think: should she have to reveal her salary? 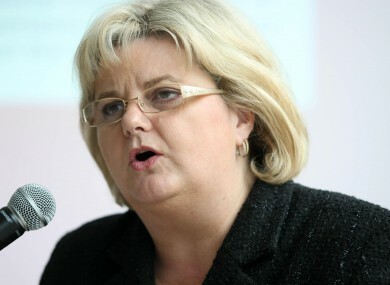 Email “Poll: Should Angela Kerins reveal her salary? ”. Feedback on “Poll: Should Angela Kerins reveal her salary? ”.